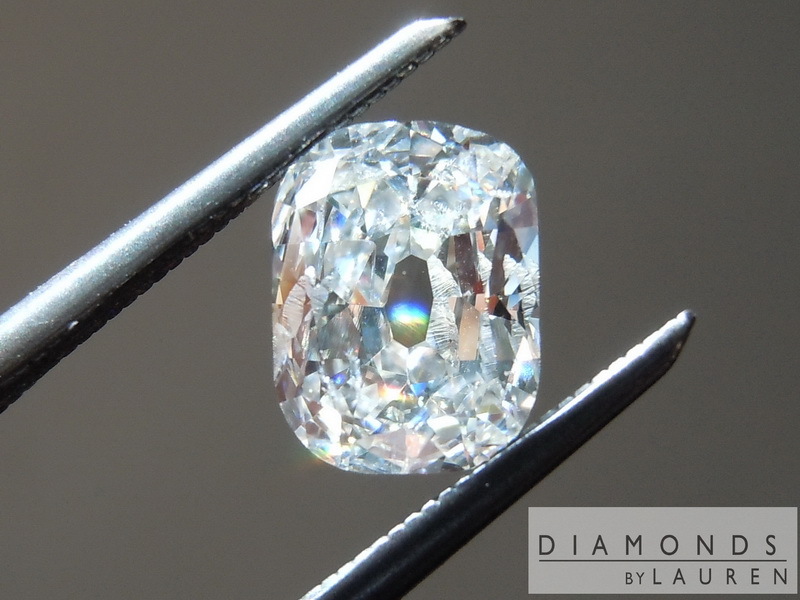 Here is a drop dead gorgeous "funky-licious" diamond. The stone has a huge culet, which impacts the entire personality, in a positive manner. 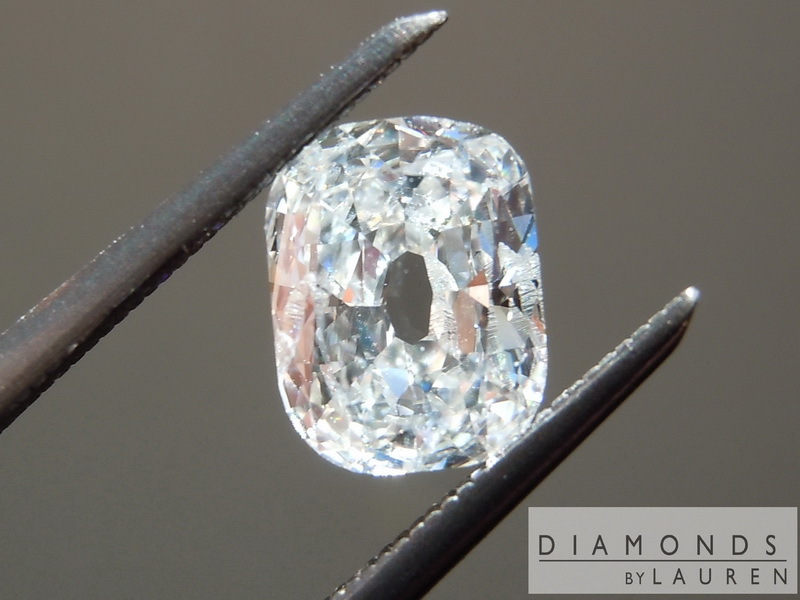 GIA classified the cut as RCRB (round cornered rectangular brilliant) - it will look to you like a rectangular Old Mine Brilliant in many ways. 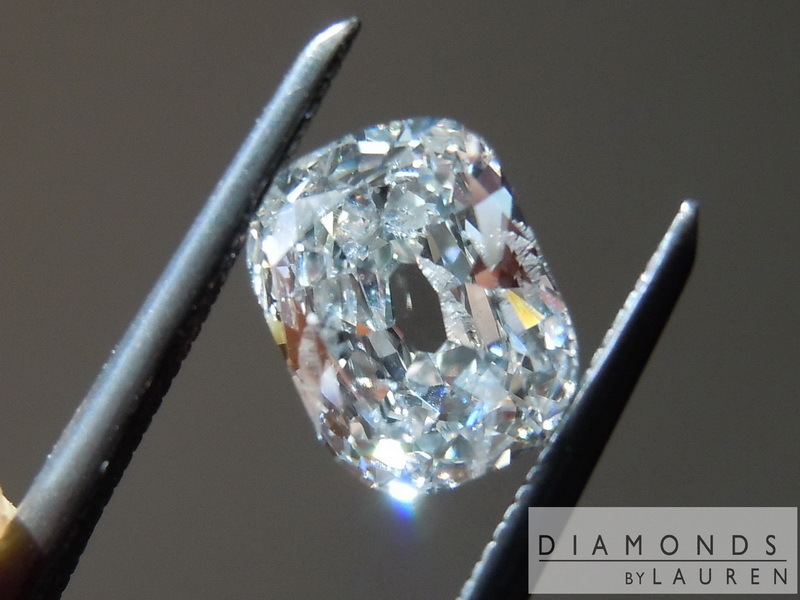 Another super positive aspect is the depth - the diamond looks like many 1ct diamonds you will see. Add the Icy White color and it is quite flashy. 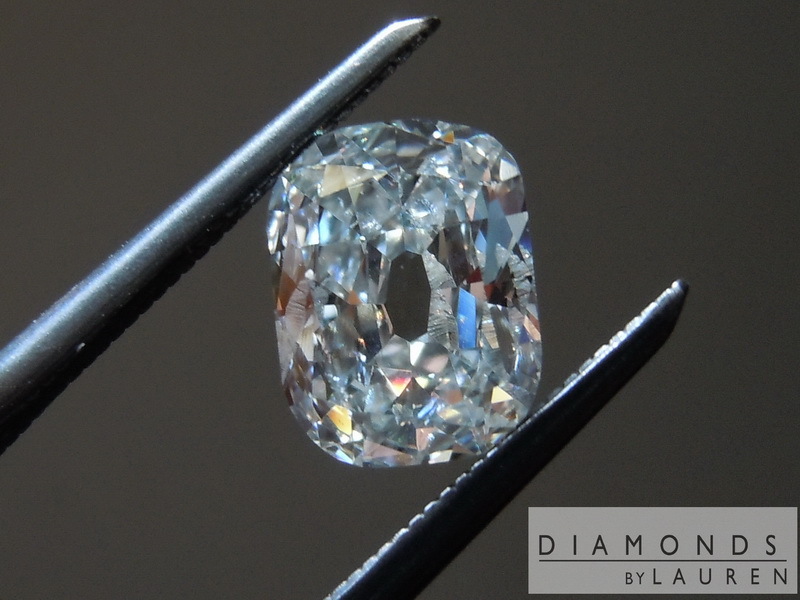 It is a shame to call this stone an I2 clarity, but that's what GIA did. The clarity characteristics are feathers. In this case they pose no structural risk whatsoever. Also quite nice is the fact that these feathers really don't detract much, if at all, from the overall beauty. They blend into the sparkle and glitter. 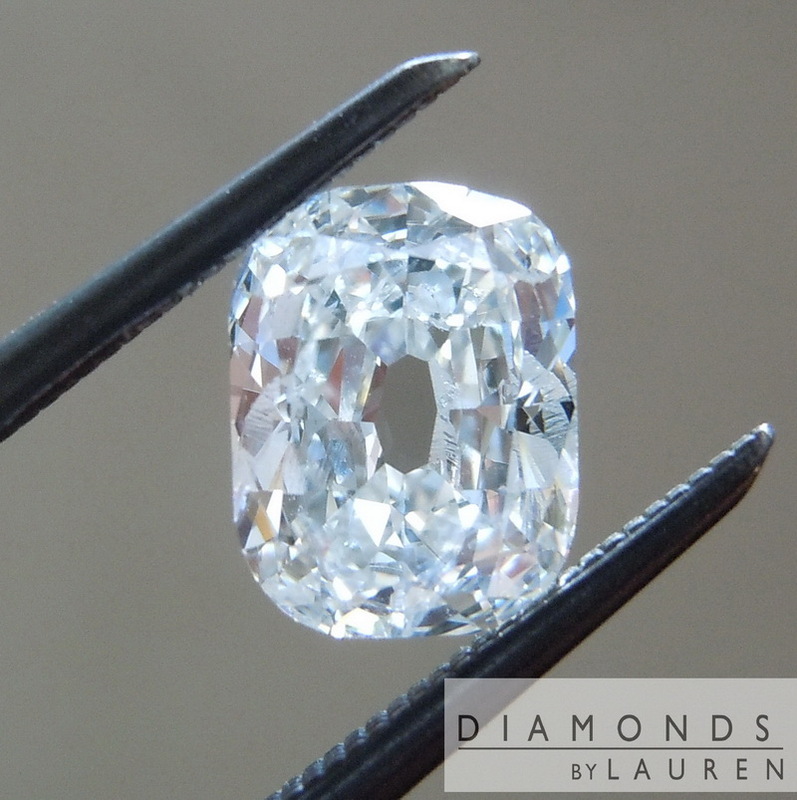 One of a kind stone.